Taking young kids to Mass is hard. The baby and toddlers years were difficult but you thought it would get easier by the time they hit preschool or elementary age. Hmmm. Not always. Engaging young kids at mass can be a difficult and really hard but so important. Yes, you’re saying. I agree, it’s important, but HOW do I do it? How do we survive as a family through mass with young children? Unfortunately there isn’t a secret pill or magic solution. It’s going to be tough like almost everything else in parenting. 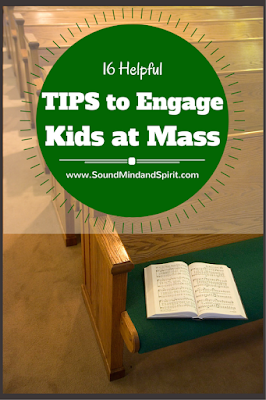 I’ve assembled a few tips that helped us with our kids at mass from the preschool years to now. Getting Dressed – Most people will suggest lying the clothes out the night before, but I’ll take it one step further. To simplify getting dressed for my family when my Birdie was a preschooler, we found a dress that was her “church” dress. She wore that dress to church every week. When the seasons changed or she grew, we picked out a new one. Her knowing what she was putting on every Sunday eliminated a major meltdown. There was not a choice in clothing, which really calmed her. It worked so well for her that her older brother started doing it also. Before you Leave the House – I know it seems obvious, but I have to say it. Feed your kids before Mass. A hungry child is a cranky, difficult child. In addition, take them to the bathroom before Mass starts. 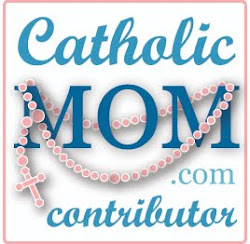 Review Readings – Talk about the readings before you leave for mass or discuss them in the car on the way to church. Help your children know the topic of the readings or let them know if a reading will be part of a story they recognize. It will give them something to anticipate and familiarity during the Liturgy of the Word. Set Expectations - Go over what you expect from them at mass. Review why we attend mass, how we participate, and how we behave at mass. Be sure to set realistic expectations based on your kids. One Thing – Ask your child to pay attention for one thing that speaks to them at mass. Before mass they can pray to remain open to God to notice the one thing He wants them specifically to experience. It could be a line of scripture, a prayer, song, or any moment that stands out for them. The idea is that it keeps them watching/listening for it and to share it as a family after mass. Arrive Early – Sit where you want, go to the bathroom and get settled. Arriving late or in a rush sends the wrong message to the kids. Get everyone settled, take a really deep breath and remind everyone to stop and pray before we start. And it’s ok if your prayer is a thanksgiving for getting there and asking God to help everyone to sit nicely for the next hour! Sit in the Front – I know, as a parent that’s scary, really scary. But how difficult is it for you to sit and look at the backs of people’s heads and not get distracted? Now what’s it like for a kid? They have a better chance of being interested in what’s going on if they can see. If you have a choir up at the front, your kids might like to sit where they can see the choir. That is always a favorite for us. 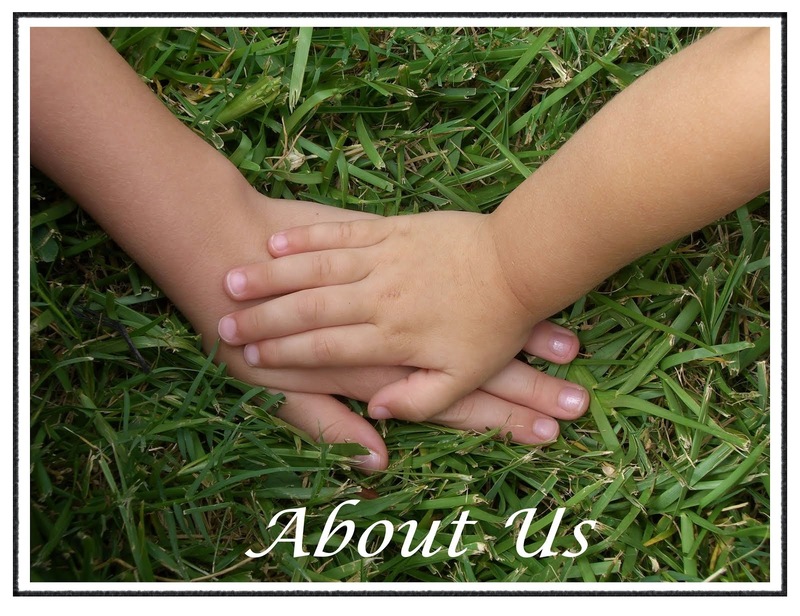 Children’s Liturgy – If your parish offers children’s liturgy, try it out. Being out of the pew for the Liturgy of the Word might help them sit nicer for the rest of mass. MagnifiKid – This is one of my favorite things on this list! MagnifiKid is a weekly missal for elementary age children. 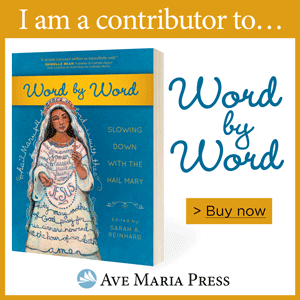 It offers the mass readings, a glossary of the big words, activities, and a full missal of the mass. It is especially helpful during the Liturgy of the Eucharist for my youngest to follow along with the priest’s prayers. Readings & Song – For pre-readers and beginning readers, it helps them focus if you run your finger under the words of the readings or during the songs. Leaving Mass - If you take your child out of mass for behavior, come right back in once they are settled. Don’t let them learn that if they act up they get to leave mass for something more interesting like running around in the hallway or foyer. Kids are pretty smart and will pick up on it fast. Participate in the Mass – You must model the behavior you want them to have in mass. Sing, Pray, be attentive. Children should be encouraged to sit when you sit, stand when you stand, kneel and face front. Even if they are preschoolers they should join in to the mass. Sing! Pray! They can participate in the mass, especially if you help them understand what and why we are doing what we are doing. And always, take them up with you to communion. If nothing else, it’s an opportunity to get up! Talk to them through Mass - Describe what they see and what you do quietly in their ear. Don’t be afraid to point out discreetly what’s going on to help them stay engaged. When the priest holds up the host, help them remember to look at Jesus. What do you pray? Why do we cross ourselves in 3 places before the Gospel? Whisper it to them as you do it. Did they notice the priest putting water in wine? What do the altar servers do? There is so much actually going on during the mass for them to notice. Homily – The homily is an exception to the above. This is their time to have a small book, a notebook with a pencil/crayon to keep them busy if they are too young to listen attentively. For us, that lasts until the middle years of elementary school. But when Father sits down, their notebook or book goes away because it’s time to pay attention again. You know your child best. Adapt and do what works for your family. Don’t expect perfection from them. As they grow from toddlers into kids they are more and more capable of sitting and participating at mass. Depending on your child and how often they attend mass, it might be earlier than you think. Remember, most of us have been there. Our kids were little once. We know it is such an important but difficult thing. It will get better with perseverance and prayer. If you get the evil eye from fellow parishioners, please pray for them. They might have forgotten what it’s like to bring little ones to mass or their attitude might be about something entirely different. 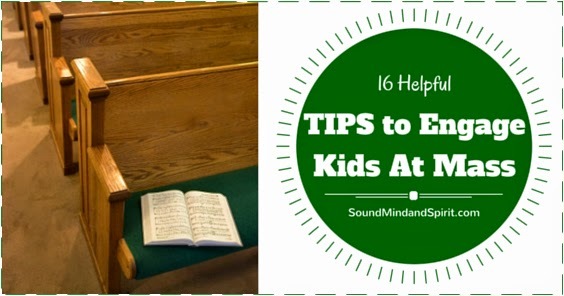 Either way, your kids deserve to worship the Lord in mass as much as an adult. Trust in that and pray. Reward - Reward them for incremental improvement. Give them the donut after Mass or stickers or whatever is a reward for them. Help celebrate the baby steps. Share - Talk about the readings, the songs and your “one thing” after mass. You might be really surprised what they picked up while you thought they weren’t paying attention. Don’t give up – Go, go, go – They more you attend mass as a family, the faster it will get easier. If it didn’t go well and you need to have a cry, then go for it. Sometimes that’s the reality of attending mass as a family. Just remember, the reason you are at Mass is to worship God and receive Jesus. You can do both of those even if you were busy with your kids, don’t remember a word of the homily or were not able to pay much attention at all. Sometimes those experiences at mass bring you even closer to God when you receive Jesus in communion. God gave you your kids. He understands what you’re doing in the pew on Sunday morning. You’re a parent bringing your children to Jesus. Take comfort in that and don't give up.